This small book is an edited and extended version of seven blog posts published to my website in the summer to fall time of 2014. At the time, I had several accountability groups formed among several men. My goal was twofold: first, to make myself accountable; second, to train men to keep themselves accountable. I found the practice extremely beneficial to all involved. 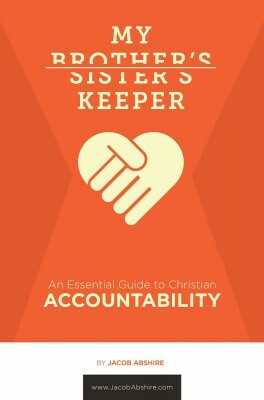 The result is this short book—a practical guide to effective Christian accountability. The ultimate aim of this book is to encourage you to be accountable for the sake of God’s church and the witness of His gospel. The more we become like Christ, the more Christ we will show to our dying world.